One of the things that we stress here for our wedding couples, is we want this day to be all about them. We visit with them and plan the ceremony around what they want. We have several locations on the property they can choose from that fits their dreams. This past week, we had three brides who dressed to their personality and it was such fun. They all loved having pictures taken, so it made the ceremony and the time with them so enjoyable. We want them to be creative and express their own style, after all this is all about them, right? So these girls were so creative in dress and wonderful head pieces. We had a Vintage chic with a totally awesome vintage lace dress and she added a cute hair piece to wear. 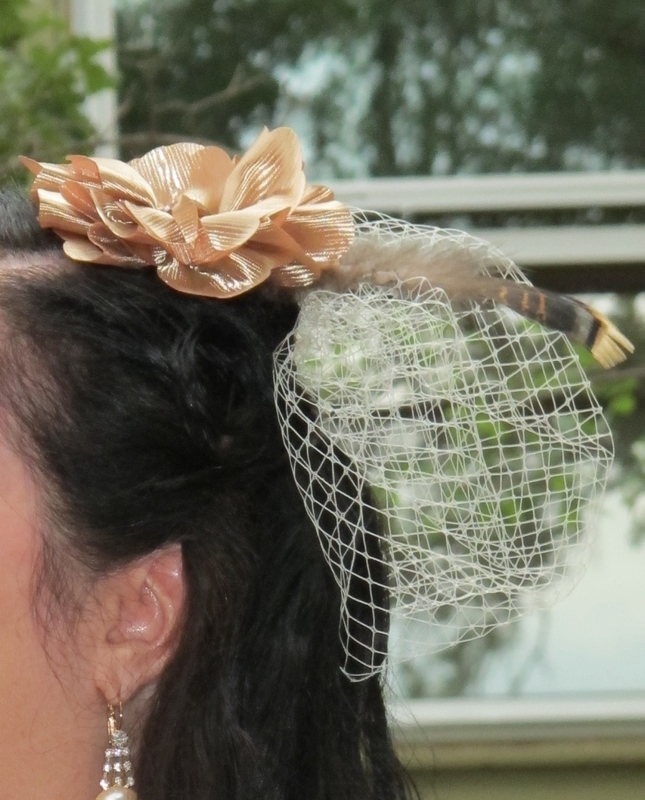 He was a big o cowboy, so she added a turkey feather to her hair piece. It was so fun, she carried a tiny purse and had jewelry that was from family and friends, each piece had a story behind it. Next, we had a cute Hippie chick girl, her short dress was accented by a bright Yellow sweater and her flower head band just burst with color. She topped that off with some vibrant red lipstick, (which he wore later too!). They were fun loving and also added a new flair to a ceremony by drinking from a pottery Wedding water vessel that their friends had prepared for them. And then there was the Belly Dancer…. yes pretty white off the shoulder cotton dress, barefoot with her dancing feet jewelry on. She too wore a bright head piece made of colorful flowers. Fun, fun and more fun for us. If you are considering eloping with us, please be creative and make the day as memorable as can be, for you and us!!! Happy eloping. 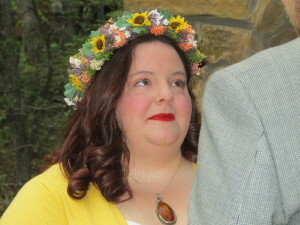 This entry was posted in Hill Country wedding packages, Intimate Texas Weddings, Texas Elopements and tagged elope in Texas, elopement packages, Texas elopement by admin. Bookmark the permalink.